An award-winning ballet dancer and a French opera director are among the debut authors tipped for success this year by book chain Waterstones. 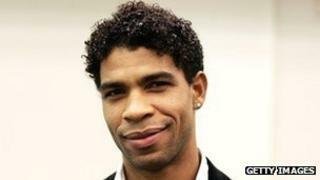 Carlos Acosta and French opera director Michel Rostain are two of the writers on the 2013 Waterstones 11 list. They are joined by a columnist from The Times, Kevin Maher, whose novel The Fields is about Irish adolescence in Dublin in 1984. The 11 books, chosen from a longlist of 100, are all due out this year. They were unveiled at a reception at Waterstones flagship bookshop in Piccadilly, London on Monday. James Daunt, managing director of Waterstones, credited "bricks and mortar" bookshops with enabling new writers to be "discovered and championed". Now in its third year, previous lists of the Waterstones 11 have featured a range of debut titles that have gone on to dominate bestseller lists, including The Unlikely Pilgrimage of Harold Fry by Rachel Joyce in 2012, which was included in the Man Booker prize longlist. Sarah Winman's When God Was a Rabbit, which featured in the 2011 list, went on to become one of the top ten bestselling books of that year. Authors on this year's list hail from six different countries. Havana-born Acosta has been principal dancer at the English National Ballet, the American Ballet and the Royal Ballet. His novel, Pig's Foot, is set deep in the Cuban hinterland and follows a man's search for his country's hidden history, including the meaning of the magical pig's foot amulet he has inherited. He told the BBC he was "very surprised" by his nomination, having written the novel "with very low expectations". "I'm a dancer. I'm not going to pretend to be a writer," he added. "It's been a great, great pleasant experience." Others on the list include Australian Hannah Kent, the co-founder of the literary journal Kill Your Darlings, who has debuted with Burial Rites. Former Financial Times feature writer Sathnam Sanghera is included for his novel Marriage Material. And DW Wilson, from British Columbia, whose novel, Ballistics is set in Canada's rocky mountains was the youngest ever winner of the BBC National Short Story Award in 2011.